The house to the right, the one that just the side of it shows is the house in the picture above this one. 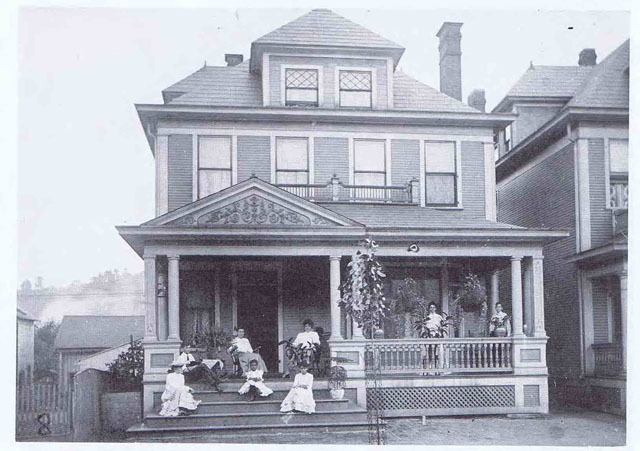 The house in this picture was torn down and that space is now occupied by a daycare center. 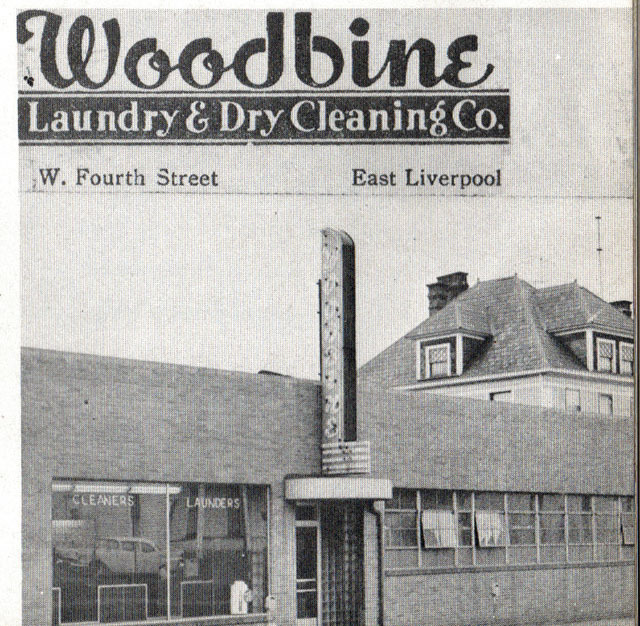 It was Woodbine Laundry and then later became Wetzel's Cleaners. The house roof to the right is the same house that was torn down for the daycare center. 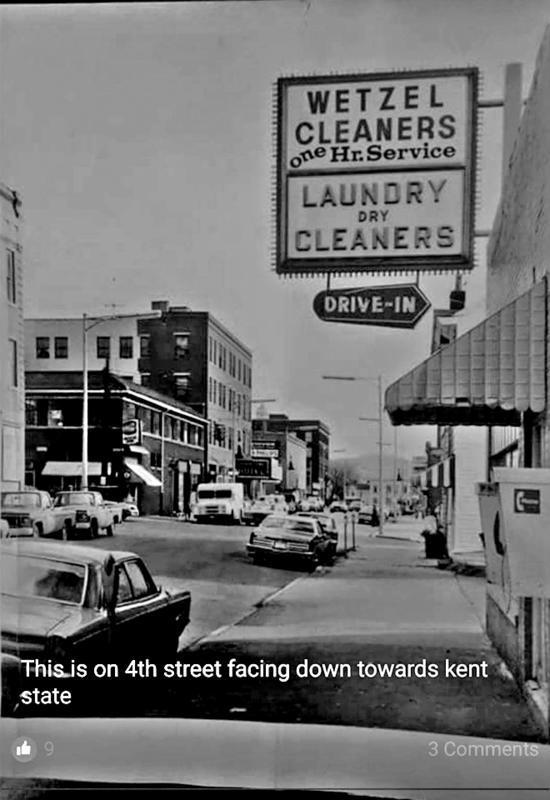 Woodbine laundry fire 2. Totally amazing. 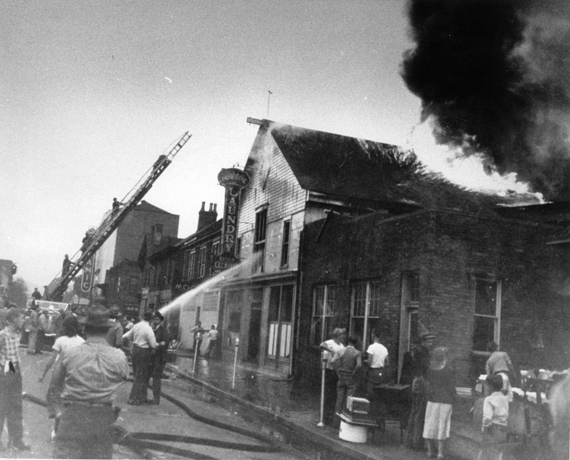 On October 19, 1949 there was a fire on West 4th Street in East Liverpool, Ohio The woodbine Laundry was on fire. 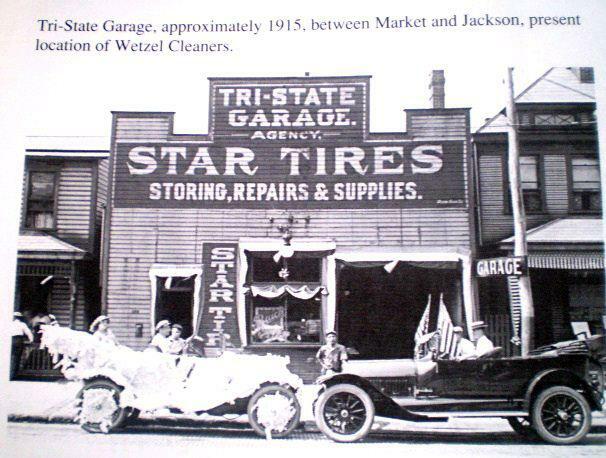 I found brief little mentions of it in Newspapers in Zanesville, Ohio, Sandusky, Ohio, Lancaster, Ohio, and Akron, Ohio. I did not find any mention of in the the paper from East Liverpool. Not on October 19, 20 or 21, 1949. I guess maybe the Local paper here didn't notice the fire. LOL. After all it was a little over a block away. I remember it. I was there across the street watching it I was 6 years old, had been 6 years old for 9 days I had walked up from my house 3 blocks away to watch all the excitment.